Do Today is a simple to manage to-do list that helps you to prioritize your tasks for the day. Add tasks, sort them, tap to mark them as completed. At the end of the day delete the completed tasks and update the list for the next day. Just that. Simple. • Add task: Tap +, type new task, tap Done. 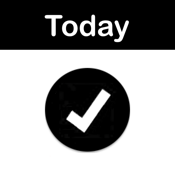 • Check/Uncheck task: Tap checkbox beside task. • Edit task: Tap the task's words, type changes, tap Done. • Delete task: Swipe right or left over the task, and tap Delete. • Reorder tasks: Tap Edit button, move task to new position, tap Done. • Edit button on the top lets you quickly delete several tasks or rearrange their order.